Luxury cars are not just defined by their cosseting ride, impressive levels of technology and refinement, but the level of prestige they bring. If you are in an indulgent mood and you feel like it’s time for an upgrade, then you need to search for an extraordinary automobile. 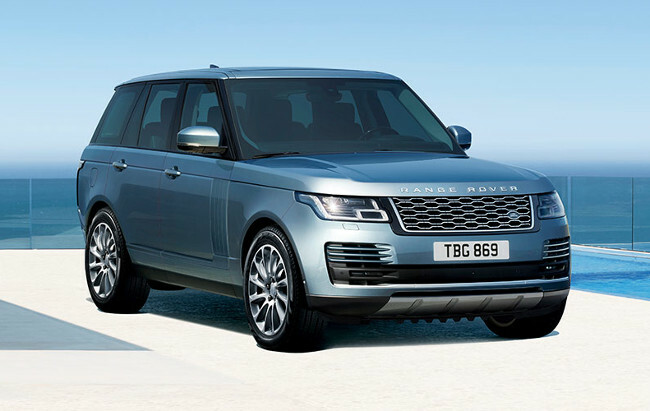 Here is a rundown of the top seven vehicles in 2019 for luxury seeking car buyers. For decades, it’s been a luxury car that’s hard to beat. 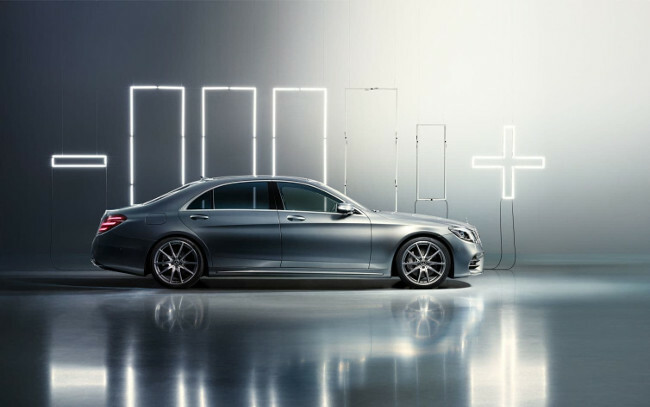 And we all know that when Mercedes-Benz sets out to make a new S-Class, it’s going to be the best. Even if it doesn’t visually seduce like a Jaguar XJ, the ownership experience of this car is unbeatable. Whether you’re driving on town roads or the highway, this automobile is designed to operate quietly and comfortably. Not only does it function exceptionally, but it can optimize the quality of the ride by reading the surface of the road that lies ahead. 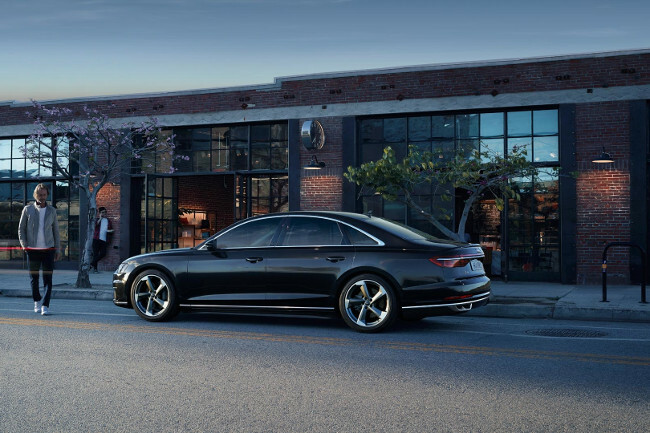 Your drive couldn’t be smoother with its standard air suspension with adaptive dampers. Engineered as a long-wheelbase saloon, it has unprecedented torsional rigidity. The interior rivals that of a private jet in design and opulence, not to mention the significant amount of technological finesse. All cars are fitted with a 12.3-inch infotainment screen and the Mercedes’ Comand Online system. There are three options: petrol, diesel, and hybrid engine. But whichever you choose, the vehicle will be economical and noiseless. Be prepared for a performance like no other vehicle with its nine-speed automatic transmission. The A8 has kept a low profile in the luxury car market as it’s hardly distinguishable from other Audi saloons. But with its highly comfortable and double-glazed interior, those who select the A8 seldom regret their decision. Features include a more advanced powertrain and enhanced in-car technology than its rivals, not to mention the autonomous parking function which allows the car to be parked with a touch of a button. So even if you’re backing into your garage, there’s no risk of collision. There’s a choice between its turbocharged engines – a 282 bhp diesel, 335 bhp petrol, or 443 bhp plug-in hybrid. And because it’s a Quattro (four-wheel-drive), the ride is smooth and comfortable, but not quite as much as its German rival, Mercedes. But anyone who’s driven an A8 will tell you that this automobile was made to impress. As one of the most versatile motors on the market, this four-wheel drive is capable of tackling muddy trails and wading through water 3 feet deep. The latest model is revolutionary with its numerous interior and technological features. Designed with an unashamedly luxurious agenda, you’ll know that owning a Range Rover is a status symbol. With its panoramic glass roof, a heated and power-adjustable tilt-and-telescoping steering wheel, heated and power-adjustable front seats, 19-speaker audio system with satellite and USB connectivity, a navigation system, multiple safety features, and much more will make your experience inside this car unforgettable. The new plug-in variant promises to excel. The turbocharged 2.0-liter four-cylinder engine is paired with an 85-kW electric motor. So driving this 4×4 through an eight-speed automatic transmission can achieve 31 miles of all-electric range before the gasoline engine kicks in. Driver assistance technologies such as Drive Pro and Park Pro couldn’t have made life any easier. The brainchild of CEO Elon Musk has become a serious player in the expanding business of building and selling zero-emission cars. 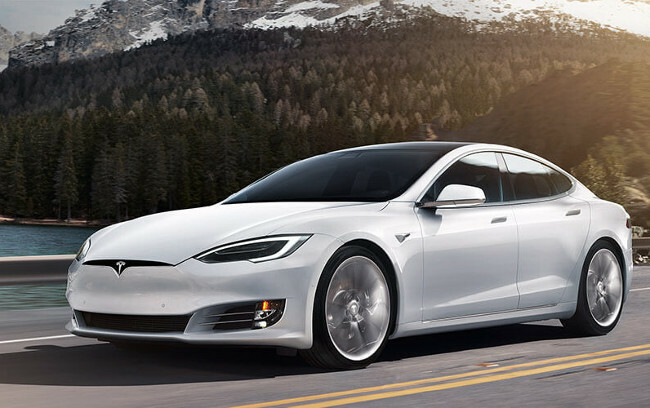 With a respectable 4.1-second of 0-60 mph time, this luxury electric vehicle is topped with a 100 kWh battery pack to give an impressive 310 miles to the charge. This beauty can take off with the ferocity of a super saloon. The 19-inch all-season tires with an adaptive air suspension let you drive precisely, quietly, and effortlessly in combination with other features such as automatic lane changing, semi-automated steering, parking-spot detection system, and hands-free parallel parking. The large, premium cabin and massive load space have a class of its own. Power-adjustable front seats, keyless entry, a power tilt-and-telescoping steering column, leather interior surfaces, ambient LED interior lighting, and lighted door handles all enhance the feeling of pampered with the best. With a growing emphasis on improved passenger comfort rather than driving dynamics, the latest BMW model is focussed on convenience and tech features. This preeminent luxury four-door is cementing its position as one of the best in the market. The plug-in hybrid exhibits considerable power with a fantastic eight-speed automatic transmission, going from 0-60 mph in just 6.4 seconds. The quiet automobile boasts an impressively smooth and comfortable ride, gripping the road well even at high speeds. 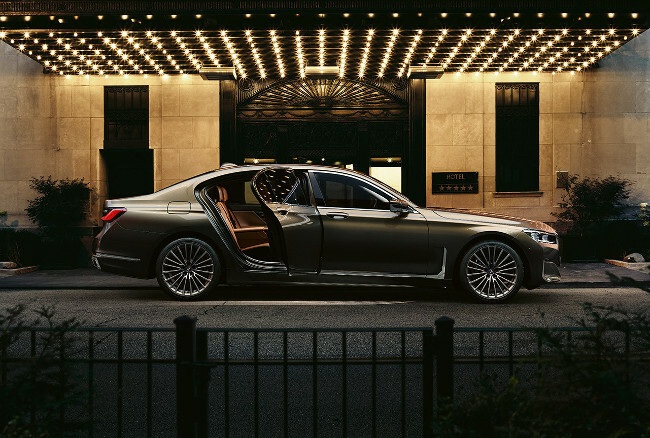 The lavish interior is built of refined, top-notch quality materials. 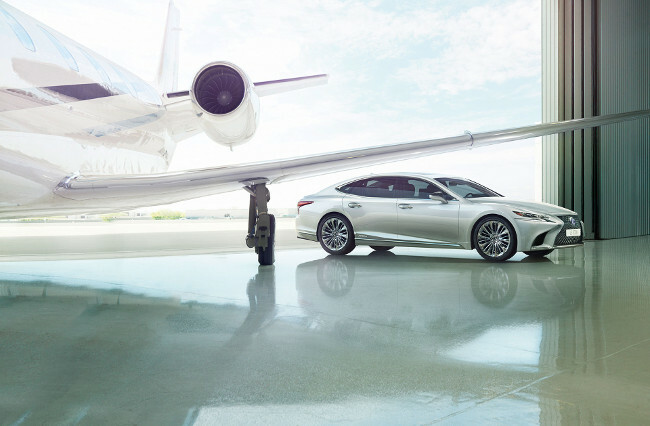 It has incredible space, and with its extra-long doors, getting in and out of this big sedan is effortless. With easy-to-use controls alongside the continuously improving iDrive technology interface, this car makes traveling as straightforward as possible. However, Apple CarPlay is subscription-based, and Android Auto isn’t available. What matters now is how the latest model will stand in comparison to its rivals when it’s released in April this year. The LS 500 has undergone a comprehensive redesign, now being longer, lower and wider than its predecessor. Both modern and luxurious in an unconventional way, it guarantees a cushioned ride and whisper-quiet interior designed to indulge. And with cutting-edge technology, it delivers enhanced driver safety features. Its twin-turbo V6’s low-end thrust provides ample power to get the car from 0-60 mph in 5 seconds, offering a spectacular 416 hp or 354 hp from the hybrid model. With its stylishly sloping roof lines, the headroom may be a little tight for tall drivers. But otherwise, this top-tiered executive sedan has an immaculately trimmed interior. As you open the door, the seat automatically rises 40 mm to receive you. The lavishness of the cabin claims a superb and refreshing sense of style with supple leather upholstery and dash coverings balanced with wooden trim. Highlights of this model include excellent incorporation of technology, such as voice control, smartphone integration, driver aids, navigation, infotainment system, and much more. 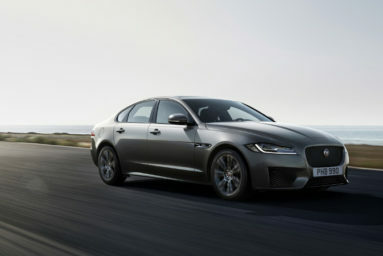 The sleek lines of the Jaguar suggest this large luxury sedan prioritises comfort and smoothness. Its sportiness is clearly defined with a luxurious, well-appointed interior and high-end features alongside an excellent chassis and steering set-up. This car won’t feel sluggish whatever model you choose, either the supercharged 3.0-liter V6 with 340 hp, the XJ50 5.0 model with its 5.0-liter V8 giving 470 hp, or the XJR575 with a higher V8 output topping at 575 hp. 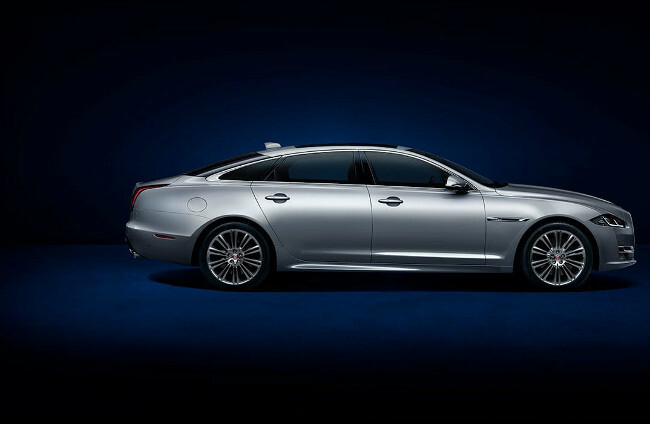 The XJ can execute passing maneuvers with mastery, making a 0-60 mph sprint in merely 5.4 seconds. And the adaptive suspension and powerful engine promise an engaging performance. The Jaguar is no doubt more confident and forward-looking in appearance. And what’s outwardly visible is also mimicked inside. The cabin offers a sense of style and drama that none can compete with. In terms of sheer material, quality, and interior tech, the Jaguar XJ has made its mark as one of the fastest, most beautiful automobiles. A 10-inch touchscreen anchors the infotainment system which includes navigation, a 4G Wifi hotspot, voice control, Bluetooth, the Jaguar’s InControl app suite, and a 14-speaker audio system. Adaptive LED headlights with automatic high beams, keyless ignition, a panoramic sunroof, a power-adjustable steering wheel, driver-seat memory settings, power soft-close doors, and a power trunk lid are only a few of the other notable features. People opt for luxury cars for multiple reasons, ranging from high tech driving experience to pure passion for exquisite automobiles. But whatever reason for owning a luxurious vehicle, rest assured that you’ll have access to the latest technology plus the added benefit of unparalleled convenience. You’ll feel at perfectly at home in a well-designed, superiorly-performing car that lets you take control of your life behind the wheel.